Hey guys! 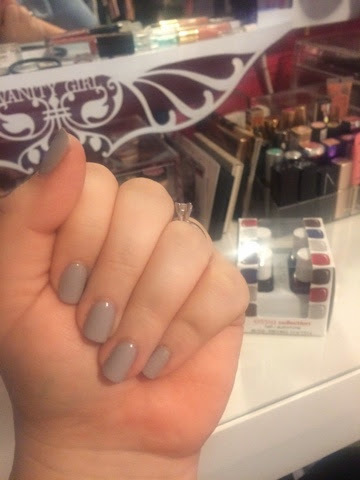 Today I wanted to come on here and mention a nail polish collection that I am totally LOVING! 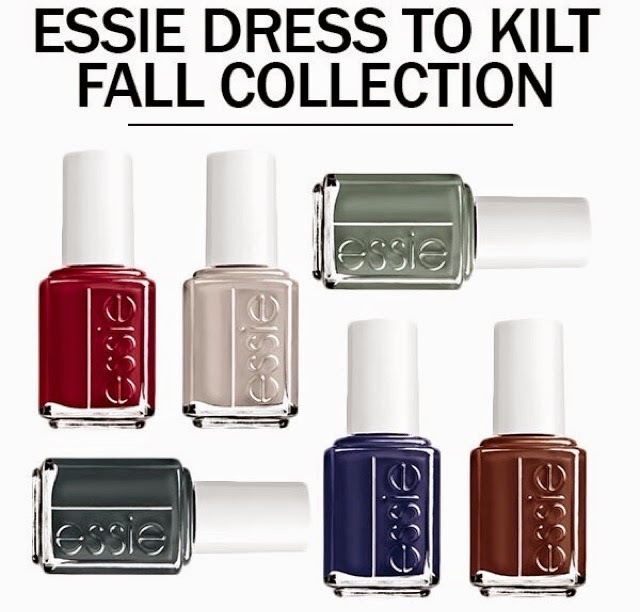 If you couldn't already tell, it's Essie's 2014 fall collection. 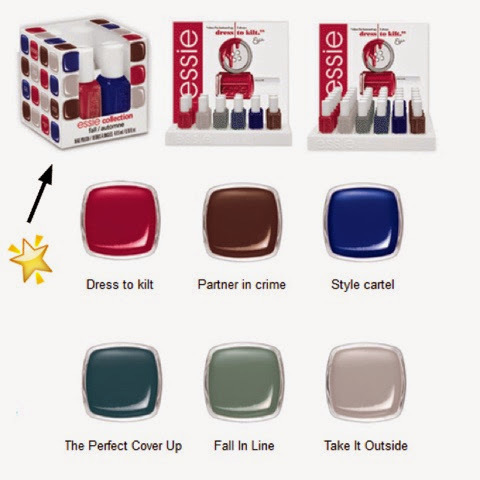 If you love nail polish then you are probably already aware of just how great Essie polishes are, and this collection is no exception. All of the polishes are creamy and opaque, most of them you can get away with just one coat even. There are 6 colors total, I actually just bought the cube that contains 4 of them (Dress To Kilt, Style Cartel, Take It Outside, and Partner In Crime). 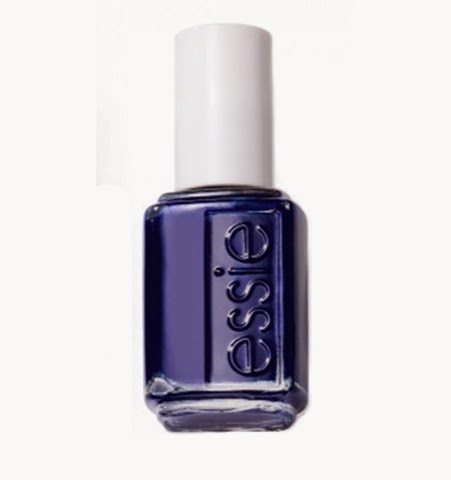 If you didn't know, dark blue and navy polishes are the color for Fall 2014. Style Cartel is on point, although it does border on being so dark it can look black in some lighting. I currently have this on my toes (pic below) and I totally love it. Over the past few years I have REALLY turned into a blue-polish-loving kinda woman. Dress To Kilt is the PERFECT Fall red. 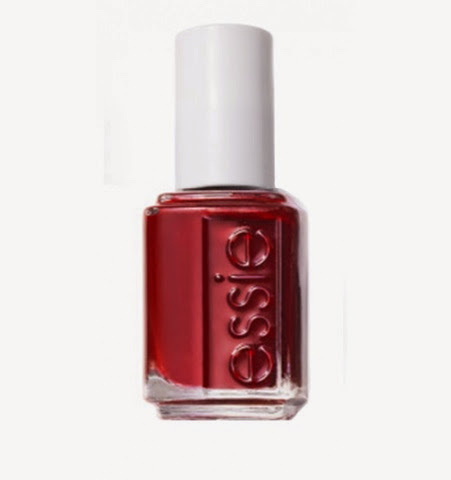 It's not a bright summery red and it's not a super dark vampy hue either, it really is a Fall red. So creamy and easy to apply! Partner In Crime is a true chocolate brown. While this shade might not be everyone's cup of tea, I happen to adore this color in the cooler months. It's deep and dark but not as stark as a black. I definitely recommend using just one coat to keep it from getting too dark and looking black in some lighting. Take It Outside is just a great taupe grey, creamy and opaque, and it looks so good paired with any of these other polishes. Ugh, can't get enough.